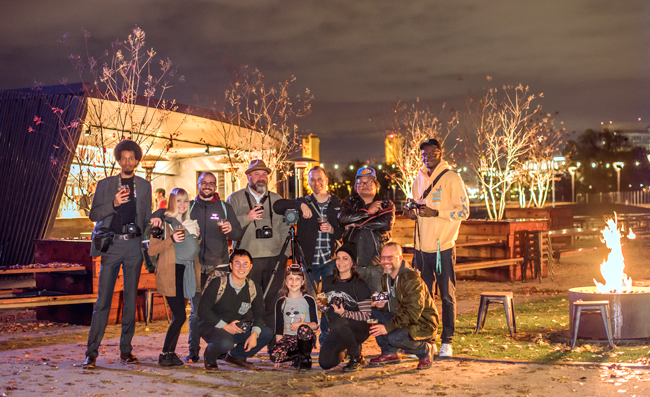 Local photographers get together to take pictures and drink beer. As hobbies go, photography isn’t an especially social one. Unlike, say, book clubs or knitting circles, taking photographs lends itself to a lot of alone time. But a cadre of local camera enthusiasts is attempting to change all that. Beers and Cameras, a casual meet-up that welcomes amateurs and professionals alike, brings photogs together for an hour-long shooting walk in a predetermined neighborhood, followed by a visit to a nearby brewery where, over a pint of beer, participants geek out on vintage cameras, rare lenses and the like. The group, which first assembled at Federalist Public House in July 2017, attracts roughly 50 people each month. What does a photo walk with a group that size look like? “It’s like a flock of seagulls with cameras,” says Trev Lee, who leads the Sacramento chapter of Beers and Cameras. 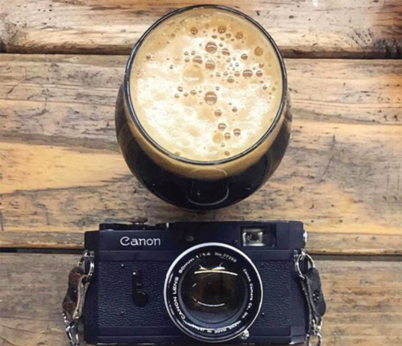 Beers and Cameras started in 2015 after Juan Martinez, an amateur photographer in San Diego, became friends with a seller on Craigslist from whom he purchased a camera lens. The two started hanging out at coffee shops to chat about photography, eventually opening up the discussion to more and more people. And it’s not just the photographers who gain from the get-togethers. The breweries win, too, with patronage and social media postings from the participants. “Basically, it’s free advertising that’s very genuine,” says Lee. In the last few months, the group has convened at Urban Roots, Device, Track 7 and Ruhstaller, snapping countless photos along the way.